Rose Gold is one of the hottest trends in fashion and favors! 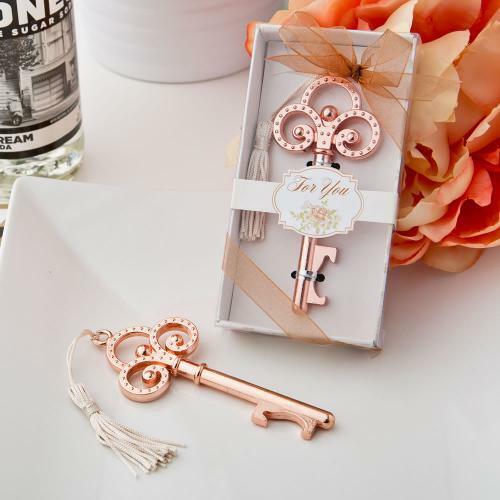 Our stunning vintage style key is crafted from solid cast metal and plated in rose gold. It comes beautifully packaged in a garden rose design box.